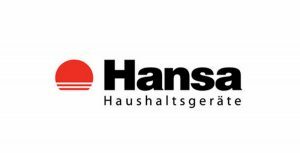 The history of German brand Hansa dates back to 1957. During this time, the company experienced ups-and-downs in production. The production and assembling were produced in Poland in the early 1990s. Now the production of the company is popular all over the world, especially in Uzbekistan. You can often see the washing machines Hansa in the markets of household appliances. They have both an affordable price and high quality. The repair of the washing machines Hansa is performed in all corners of Uzbekistan, primary in Tashkent. Like all the household appliances, the washing machines Hansa have its advantages and disadvantages. A wide choice of functionalities depending on the model. Modern models of the washing machines Hansa perform many functions: from simple regimes (washing, spinning, rinse cycle) till special regimes. Simplicity and comfort during the operation differs Hansa from many other washing machines with difficult control panel board. Thanks to a high quality assembling, the washing machines Hansa have a good service lifetime. High quality assembling allows washing silk and wood fabrics without any harm to them. The most trouble spot of the washing machines Hansa is a bearing part. As a rule, it breaks down the first. However, the specialists of “Stiralka Info” Company will eliminate this problem, because they are experts at their jobs. Short hose groups for water drain makes the installation of the washing machine a bit difficult. Otherwise, you can lengthen the hose by yourself. The problem with searching of necessary parts during repair. You shouldn’t worry, because “Stiralka Info” Company organizes direct deliveries from Poland. Choosing “Stiralka Info” Company, you decide on quality and reliable service center, which makes repairs your washing machine with a high professionalism. We have performed the repair of the washing machines Hansa and other brands for a long time.